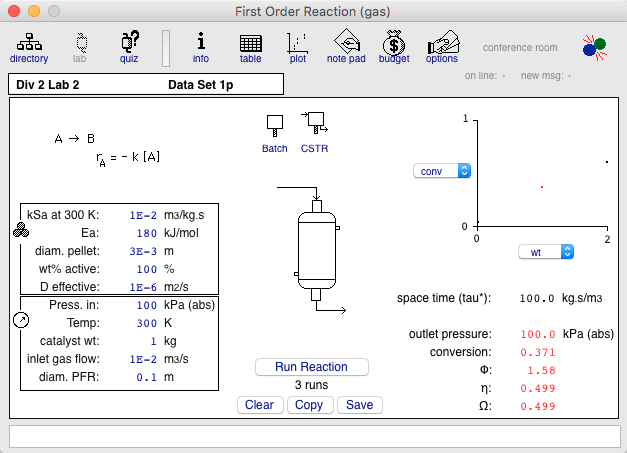 Reactor Lab is a pioneer in developing interactive simulations for active learning. This is a screenshot of an experiment in the Lab in March 1993, when the Lab was a single HyperCard stack. The screenshot was taken after it was converted to a LiveCode stack to keep it alive and operable on today’s computers. Click on the image to see a larger version. 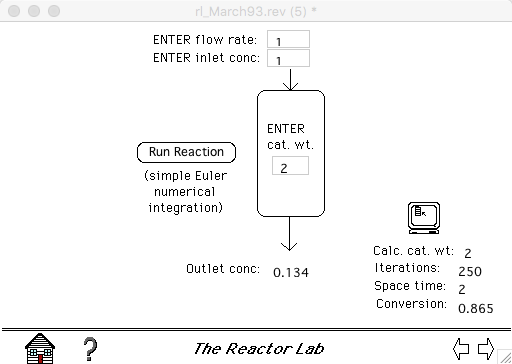 Here is the same experiment in today’s Reactor Lab. A brief history of the development of Reactor Lab through 2006 is available at LiveCode Journal. The article refers to Revolution, which was LiveCode’s previous name. This entry was posted in Interactive Learning, Reactor Lab history, Software Development on September 6, 2016 by Richard Herz. 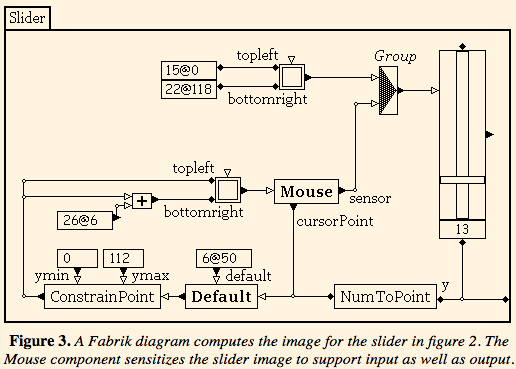 In an earlier post, I wrote about flow based programming (FBP). 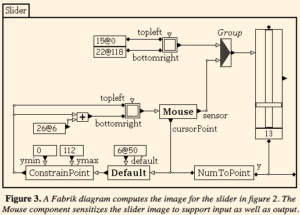 Recently, I ran across Fabrik, which was one of the first visual tools for FBP. One inspiration for Fabrik was Show and Tell. 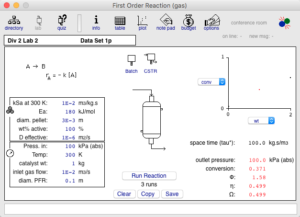 In chemical engineering we wire, or rather pipe, visual components together in application-specific software tools to design chemical processes (see Resources, COCO Simulator here) and process control systems (Matlab Simulink). Dan Ingalls, Scott Wallace, Yu-Ying Chow, Frank Ludolph, Ken Doyle of Apple Computer. This entry was posted in Flow-based programming, Software Development on September 1, 2016 by Richard Herz.